Conversational text messaging is the fastest growing marketing channel on the planet. Why? It’s a natural form of communication. Which is why 99% of us send a text every single day. There are so many ways to use text messaging for marketing to attract and engage your buyers. The only limits are in your imagination! Following are 11 ideas to get you started. Relevance is the number one thing buyers want from you. The relevance gap is also the biggest issue your buyers have with you. Text messaging makes it easy to learn what interests your buyers so you get and stay relevant. Just ask them! Gamification can increase your response rates and return buyers. Ask your buyers to respond to profiling questions with the offer of a prize or discount. You’ll learn more about them, send them more relevant content and offers, and they’ll like you even more. Everyone loves a birthday or anniversary. Celebrate with your customers to earn their appreciation and loyalty. Be sure questions to capture their important personal dates are part of your surveys and you’ll be all set to go. 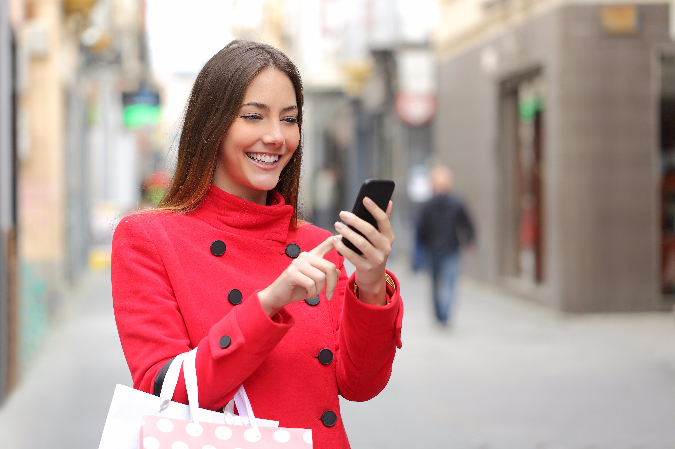 Use conversational text messaging to reward the behavior you want from your buyers. You can also send them offers or special discounts when they give you a less than satisfactory review or comment. As you learn your audience preferences, you can alert them when something really special is available or happening that interests them. Give them a sneak peek ahead of everyone else with a simple message. They will know you care and feel special. That’s a great way to build loyalty. Sometimes you have super offers that everyone wants. Text messaging is a great way to begin the conversation on that offer, and get buyers to have a conversation with you about that cool stuff. When customers are loyal, it’s good to reward them with special surprises that they’ll like. You can offer upgrades, specials and more. When you make your customers feel special, they want to do more with you. Whenever you’re launching a new product or service, let your buyers who would be interested know about it, up close and personal. Simply text them to let them know what’s new. If you want, you can include a discount, although that’s not always necessary. For example, in a service organization you could ask them to text a keyword to schedule a meeting to discuss the new service. Confirmation messages are used frequently for retail purchases and financial services transactions. Confirmations also come in handy in all other industries, for example when a student enrolls in university courses. Conversational text messaging is a great channel to schedule appointments or enroll in webinars, classes, and more. Simply text a message to your contacts with a link to a calendar. When one of your contacts schedules, an automated message will be sent for them to confirm. Then, you can send them a reminder of the appointment or event at appropriate intervals, also through text messaging automation. We learn the most when we listen to our customers. Conversational text messaging makes that easier than ever. Send a question or two, or a link to a slightly longer survey. You can also send quick surveys immediately after a customer works with your team to get their feedback on their experience. With conversational text messaging, you’ll get 6X the responses from prospects and buyers. That means you have more conversations with your audience, learn more about them and deepen your relationships. All in a way that’s natural, interactive and immediate. We shared 11 ideas but there are so many variations to each idea. How will you use text messaging to grow your business? The only limit is your imagination. Understanding and following a few simple best practices will help ensure your success with conversational text messaging. Here are seven initial best practices we share with new customers to give you a head start on your own conversational text messaging programs.